I’ve been so busy traveling recently that I forgot to update you guys about the videos I’ve recently uploaded on my Youtube channel. I think there are about 4-5 new videos since I last talked about my vlog here, which was my Workout with Mond Gutierrez. Now, you can finally binge watch (if you haven’t seen any new videos yet) and I really have interesting ones. Where I’ve been and what I’ve seen these past few months are pretty interesting, especially because I went to places I haven’t been to yet, tried challenges for the first time ever and a lot more. 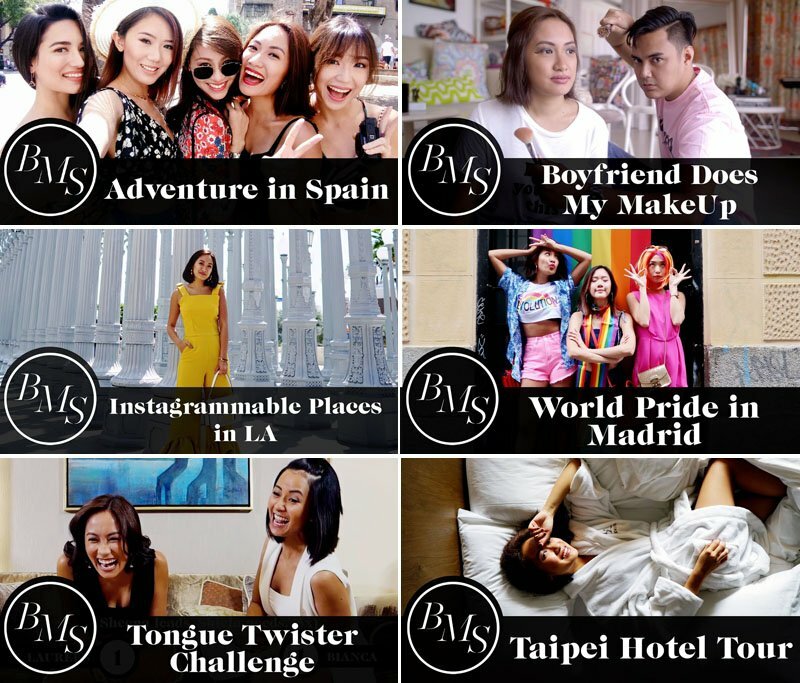 My recent video, which I uploaded today, is my trip with the blogger besties in Barcelona. You can watch HERE. It goes directly to Youtube so you can watch my other videos too. Hope you guys have fun watching! BMS. Wow! I loke your new layout 🙂 it’s easy to browse with professional look at the same time with femenine touch p din 🙂 laveeet! I really love it Laureen! Hurray for the new layout. ?? I love the aesthetic of your new web layout! And its capabilities to adjust to the gadget screen size is also a plus! Anyways, I’ve been really enjoying your vlogs the edits are pretty cool and its sooo entertaining. Ikaw na ikaw! Haha lalo the recent spainoritas vlog haha! I loved your layout its so superb! I’ts like I’m browsing to snapchat’s news. It’s so easy to looked at. Great job Ms. Lau! ?? Love the new layout ? I love you, Laureen ? Wow! Love ur new layout ? Love the new layout! It’s a complete package of “YOU”, being the Laureen Uy style -cool, dashing & daring. The blog is very aesthetic and love that I can finally browse on my phone so easy ? Keep ’em coming!!! I love the new layout for BMS! I’ve been following you (creepy! Hahaha) on IG for a couple of months now and i really enjoyed the photos, the videos etc. argh! Travel goals ?? Hi! I love your vlogs! I love watching your vlogs while taking a break from studying and before bed time. ?❤️?? Si Nana! Hahaha she’s the best! I’m following you on IG and i love your posts but i’m still new here on your blog so i’ll make sure i can ready all your articles and get inspired with your fashion ideas. Stay awesome! Awwww thanks so much <3 Love the support! Love your new layout!! ❤️ I love your travel blogs as I travel a lot myself and contemplating on starting one but I’m not very confident yet. The layout was so Liit! Sana ganyan din ako kagaling magdesign ng website..huhu ? Watched all your recent travel vlog ate Lau.. Ang saya nung sa Barcelona with Blogger Besties ? Yaaay subscribe ka na rin! Minsan piso fare lang kailangan jan! Hehehe 🙂 Thanks for checking my blog! been watching your BMS vlogs lately and I love it!! The fun and quirky Laureen is so inspiring. Makes me want to get up and forget about my depression/anxiety and live life like you ?